Poppy was our pick puppy from Bridgit’s litter by GCH Aurealis Endeavor. 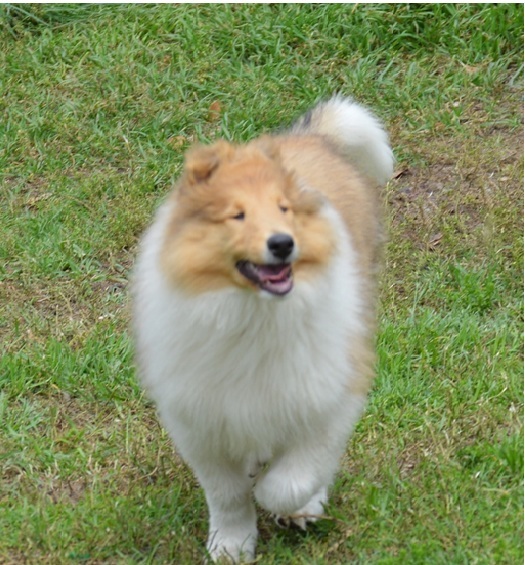 She is a big, sound girl with a bouncy personality- finishing her AKC championship quickly. We struck gold with Poppy’s puppies sired by GCHS Scalloway’s Lion Hunter (Samson) Samson is a great moving, handsome dog that has been a consistent winner at shows. 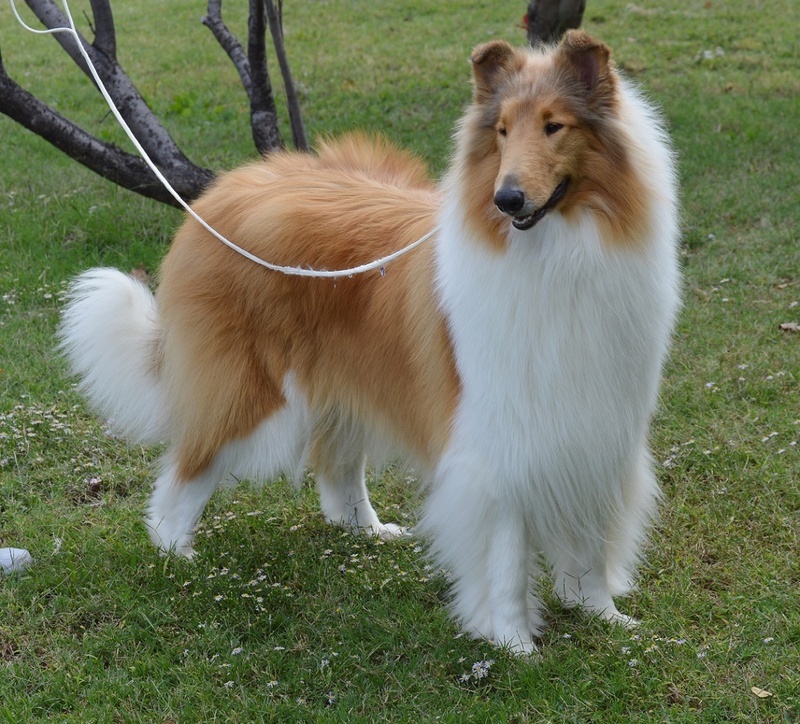 He was ranked #1 Rough Collie in all breed competition in 2018 by Canine Chronicle. We have three champions from the Poppy/Samson combination so far- GCH Tairis Runnin Down A Dream (Patton), GCH Tairis Sweet Dreams Are Made of This (Willa), and Ch Tairis Perchance To Dream At Scalloway (Maxi). We have bred Poppy to the outstanding Milas sire GCH Milas Walk This Way, and Ch Avalar Midnight Rain. We did a dual breeding with these outstanding dogs and will be DNA testing the puppies to find out each pup’s sire. Poppy’s puppies are due in April 2019. Happy Poppy as a puppy.